If you’ve been craving the chewy, meaty texture of a sausage to put just next to your mashed potatoes, look no more! I have just got the right recipe for you. It takes a bit more prep and cooking time than the usual easy-peasy vegan recipes I post on the site, but the final result is so much worth it… Mmmm! Plus, they freeze well and it’s worth making a huge batch to always have some on hand (they work equally great for breakfast, lunch or dinner). 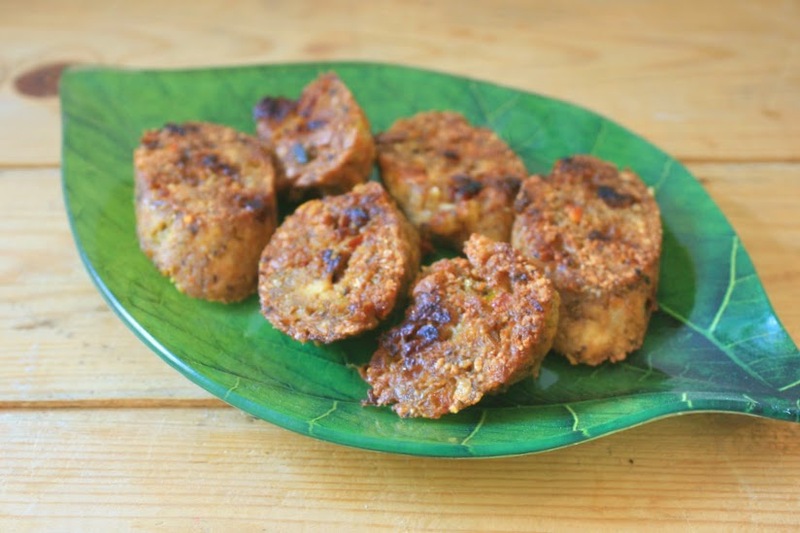 This Louisiana-Style vegan sausage recipe has an authentic, rich, and totally lip-smacking flavor that will please even a hard-core meat eater. On top of that it is as healthy as a sausage can get – totally kid-friendly and tastebud-pleasing. 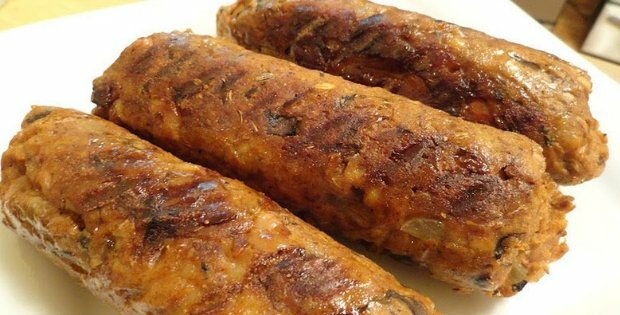 It really is hard to find the words for how delicious these vegan sausages taste, so let’s get right back to the recipe! And if you are serious about your health, but wouldn’t want to compromise on taste, Download The Complete Vegan Recipe Solution – it features 145 more recipes that burst with flavor and taste, while being designed to skyrocket your energy and boost your health! Bring the 12 cups of water to a boil, turn off the heat and add the chickpeas. Soak overnight or for at least 6 hours. Drain and grind the soaked chickpeas in a food processor until very fine. In a large bowl, mix and add the dry ingredients. In a separate bowl, mix all of the wet ingredients. Add the chickpeas and the wet mixture to the dry mixture and mix well. Cut 4 pieces of aluminium foil 10 x 12 inches. 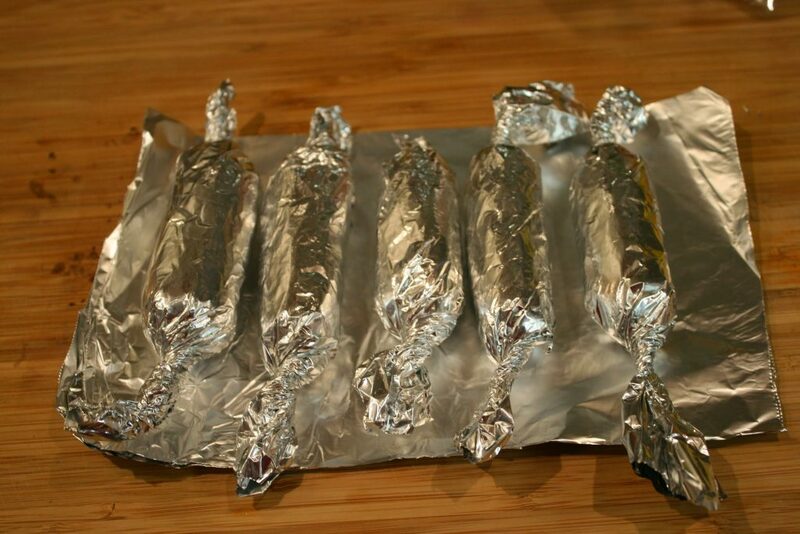 Divide the mixture into 4 pieces, shape like sausages and roll up in the foil. Seal the ends well, place in a steamer and steam for 1 hour. Let cool. Slice into 1/4 inch slices and fry in a lightly oiled skillet until brown on both sides. This is a large recipe and the leftovers freeze well. This recipe is one of 928 Tastiest Vegan Picks.